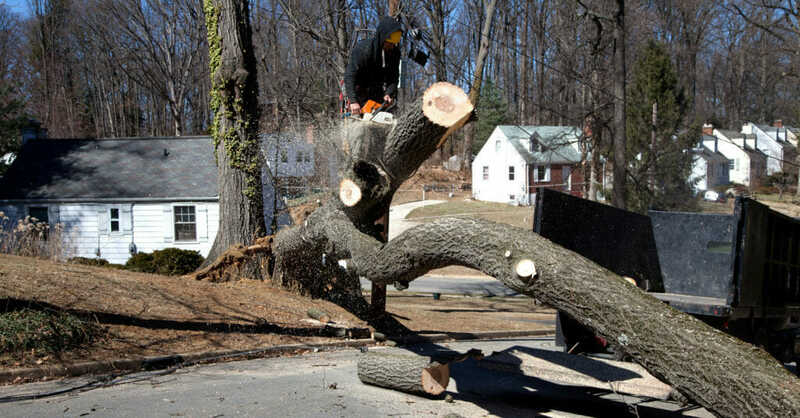 Urban Forest Professionals offers emergency tree removal services 24 hours a day, 7 days a week! By dialing our regular phone number 503-226-7143 and pressing 9 you can be connected to our on-call arborist for emergency services. Arborists can be reached any time of day and can be dispatched as early as 6 am. If you do not get an immediate answer leave us a voicemail and we will call you back within 15 minutes. We have the arborists and equipment available to handle large and complex jobs, including a crane and a crane operator. We are one of the leading tree service companies in the Portland metro area in regards to difficult and dangerous tree removals. We also have a few blog posts we have written to guide you through the process of getting a tree removed in an emergency setting. These posts have tips and also cover important topics such as homeowner’s insurance and tree permitting. Because we know it is difficult to make the hurried decision of which emergency tree removal company to hire, we offer some of the reasons to choose us below. We have staff on-call to handle emergencies 24/7. We bill your insurance company directly. No need to argue with your adjuster about what is covered - we do that for you. If your project is large enough we can sometimes provide you some deductible forgiveness and also self-pay discounts for those of you with very large deductibles. We do more crane work than most tree service companies, so we are experienced with these types of jobs and we have our own crane on call. If a larger crane is needed we have long-established relationships with local crane companies allowing us to ask for priority scheduling. We provide a full service. Should your roof need repair, we can tarp it or provide a temporary patch to keep out inclement weather while you search for a competent roofer. We will submit your tree removal permit for you. Nobody can predict when disaster may strike. The best you can do when it does is go with an established Portland tree service company with hundreds of positive reviews. If you have a situation that requires professionals, call Urban Forest Professionals at 503-226-7143. Fill in our emergency form and our emergency services operator will call you back asap. We usually will get in touch within 15 minutes.